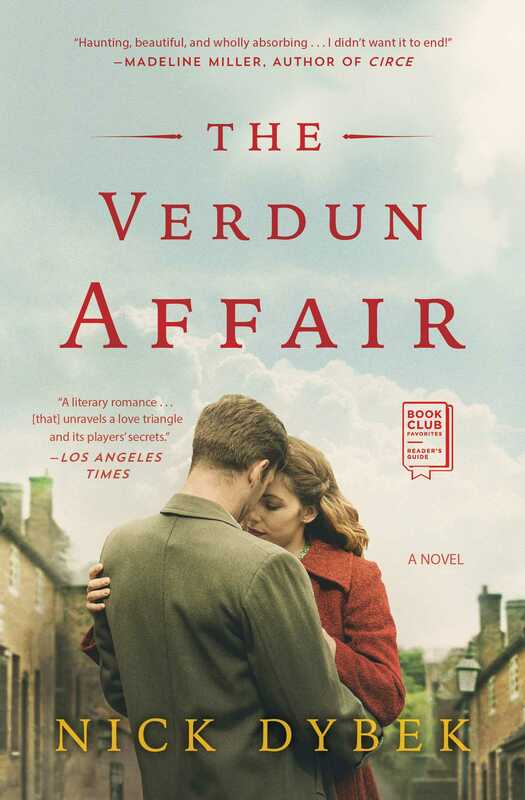 A deeply transporting novel about love and identity, truth and consequences, The Verdun Affair is a page-turning and vividly imagined “literary romance… [that] unravels a love triangle and its players’ secrets” (Los Angeles Times). On the morning Sarah Hagen was to arrive, I awoke with the feeling of something crawling over me in the dark. A scrape of scale, a scratch of claw. I found Father Perrin in the courtyard, looking as though he hadn’t slept either. He waited for me to wash and finish my bread and coffee, smoking cigarettes as if they offended him. He started the car, and we left for the hills north of the city. It had taken years, but you could almost call Verdun a city again. In late 1919 the famous candied almond factory reopened, and people began to creep back into the streets. A café opened, then a bakery, then a school. Well, that’s French life for you, Father Perrin said. By 1921 the roads were clear, the bridges over the river rebuilt, the cathedral stitched with scaffolding. In the evenings the sun reflected red in the new windows. In the hours just after dawn there was a chalky light, as if all the old cordite still hung in the air. I’d been the aide de l’évêque de Verdun for two years by then. My title sounded sophisticated, but my duties weren’t especially; I helped the priests of the diocese with whatever they needed, and was offered board and a small salary in exchange. Nonetheless, given Verdun’s particular circumstances, it was an important job for which I was hardly qualified. Eventually, I learned to write better in French than I did in English. I often thought in French. I likely would have dreamt in French, but in my dreams no one ever spoke. On that day we were headed to the Thiaumont Ridge, to the village of Fleury. But there was no Fleury anymore, just as there was no Ornes or Douaumont or Vaux or Cumières—all villages leveled during the battle. The government had declared them officially destroyed. Though it seems that destruction is usually a matter of admission rather than fact, it probably was too dangerous to rebuild. Between February and December of 1916, a thousand explosive shells had fallen on every square meter of ground—ground that had been farmland and forest, then battlefield, then something new, known only as zone rouge. We crossed the snaking Meuse on a new bridge, the water below sleepy and dark—a few ripples, a few branches nodding just under the surface. The road wove up through the hills. The mud remained in some places, but grass had returned in others, a bright, almost hallucinatory green. The earth has never seen anything like this, Father Perrin had said. We’ve confused it. I couldn’t disagree. Much would be said about the battle’s brutality, its exhausting length and strategic peculiarity. But at the time it was waged, it often wasn’t referred to as a battle at all. Will the Verdun affair ever end? the newspapers asked, using the preferred euphemism for catastrophe and scandal. Will the French ever recover from the Verdun affair, even if they do save the city? Five years later this still seemed an open question. As he drove, Father Perrin smoked and smoothed the mustache signed on his lip. He looked like a matinee idol with a bad diet. When he blushed his skin went yellow instead of pink. I’d taught him to play hearts from an American deck that had washed up in the Episcopal palace, the way many strange things wash up at the end of a war. He’d taught me about music. We had no phonograph, but we did have a telephone with a good connection to Paris. Often, Father Perrin would call the last remaining chamber music service and put the receiver on a stack of books as a tin-flecked Saint-Saëns drifted out, costing somebody a fortune. Other nights, we’d stay up late talking in Father Gaillard’s old office or, if the weather was clear, seated on the lip of the koi pond in the courtyard. Just after the armistice a Christian church in Japan had given the Episcopal palace the pond of smooth smoke-blue rocks and five bulge-eyed goldfish. Father Perrin held a special affection for those fish; he told me it amused him to imagine what they thought, drifting in the shallow water. So this is life. So this is life. He was trying to shock me—that was his way—but as Father Perrin well knew, I didn’t need to imagine it. 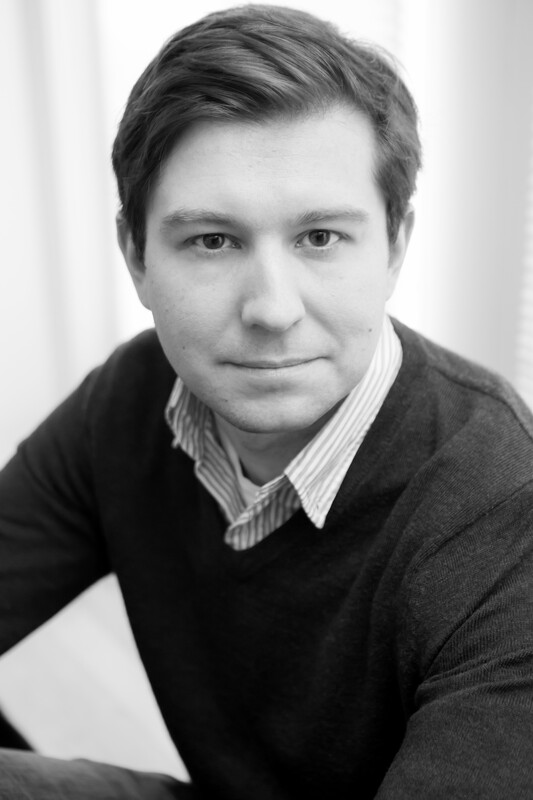 I’d seen many such faces when I worked for the American Field Service during the war. I looked out the window. The car was cresting the hill. I knew Father Perrin would smirk at words of sympathy or—god forbid—understanding. And the horror of the story was only too evident. As was often the case with the stories Father Perrin told, there was simply nothing to say. I’d opened the car door and was facing the moonscape of old battlefield when he stopped me with a hand on my shoulder. He put both hands on the steering wheel and stared out over the destroyed ridge, which always looked to me like a dead crocodile. His right eye fluttered. I waited for him to say something more, then I got out of the car. The first widow came to Verdun before Father Perrin arrived, before the war was even over. I noticed her mouth right away—I’d forgotten teeth could be so white. It was late summer, and she stood in the palace courtyard wearing an orange dress with white flowers in the pattern, a white hat with an orange flower in the brim. The smile wavered, but she whipped it back, as if it might help to look happy. I was afraid to say anything, afraid even to call for Father Gaillard—the bishop of Verdun, the man who had taken me in when my father died—because I could guess how words, dismissals, promises, had already harmed her. But when I did call, he came at once, black cassock swishing, round glasses smudged. The three of us went into his office, where dim window light fought the dust. I poured her a glass of water. She told us that she’d met Daniel in a café just off Place Stanislas in Nancy, where they both worked. She explained that after Daniel enlisted in 1914, she’d watched from behind the bar as the mayor walked the square in a white suit yellowing at the collar and sleeves. By custom it fell to the mayor to deliver the news of the missing and dead. She described the tremor in her throat as she watched him pass, the many ways she’d burned her distracted hands. She described the sunny day in April of 1916 when, instead of turning up Rue Gambetta as usual, the mayor crossed the square, and stood in the door of the café, and took off his hat. The band inside was yellow with sweat too. She’d imagined she might actually feel some relief at the news—she was ashamed to admit it, but she wanted His Grace to understand everything—but no, all she felt was anger. The little man with the solemn tone and uneven mustache knew just enough to destroy her life and nothing more. What happened? He didn’t know. Who saw him last? He didn’t know. Would they search for him? He didn’t know. When would there be news? Other than a curt letter of condolence from Daniel’s lieutenant there was no more news. Not for the rest of that year, not in the following year, despite letters to the lieutenant pleading for more information. And all that time she continued to work at the café, continued to watch the man in the white suit with the yellowing hatband ferry the dead across the square. Had we ever seen Place Stanislas? she asked. Father Gaillard removed his glasses and rubbed his thumb over the lens. He was a large, even imposing, man, well over six feet tall. But it was his soft face and softer voice that drew everyone to him. He wore, as always, the typical bishop’s costume—the cassock, the biretta, the heavy pectoral cross—but he was one of the few people I’ve ever known who could not be accused of playing a part. “That’s true, it is,” she said quietly. They nodded together. She seemed to unclench. Father Gaillard polished his glasses, sweep after sweep with the end of his scarf, as he often did when he was upset, his way of preparing his thoughts. “What did Daniel look like?” Father Gaillard asked. She opened her purse and rummaged, likely her own way of buying time. I knew a little of how she felt. After all, I had sat in that very chair in the days after my father died, wondering if I could trust the man across from me. Though it was not my place to speak, I wanted to tell her that she should trust him, as I had. But I also felt a sad sympathy for Father Gaillard, knowing the hours of prayer and contemplation this lie would cost him—and it was a lie, wasn’t it? After she left, he opened the windows to let out the dust. He didn’t answer. He was the sort of man who loved reading aloud to children. I used to watch him in the dim rooms of the citadel, his copy of Grimms’ Fairy Tales held up to the lamp, his voice rising an octave for a princess, scraping low for a dragon. Father Perrin arrived six months later. The design for the ossuary—the memorial where the thousands of bones left on the battlefields would be interred—had come back from the committee by then. The French government had agreed to pay a portion of the cost, the diocese of Verdun another portion, but much of the money would need to be raised privately, and Father Gaillard announced he’d have to travel to do it, far from Verdun. Someone else would have to face the next Miriam Jerot, and the next. He never admitted it, but he must have realized he was too tender for the job. Miriam Jerot was the first of many. Almost a million men had died or disappeared on the hills and fields northeast of Verdun, and their parents, siblings, and wives came in a steady line that might have stretched across the entire front. Ladies chauffeured by car from Paris, and illiterate shepherds from Languedoc, and marsh people from Finistère who hardly spoke French at all. The Father Perrin that appeared in the foyer of the Episcopal palace to greet them was quite different from the man I knew, his expression a mixture of pity and nothing, a void into which they could pour everything they had to say. And though he said very little, though he let them make introductions and describe their journey, there was something in his manner—in the thin face that looked suddenly honest, the thin smile that looked suddenly kind—that suggested he was glad they had come. And that mere fact—that mere illusion, if that’s what it was—meant the world to the families standing before him, many of whom had traveled for days in cramped train cars or fuming motorcars or sometimes in carts drawn by horses or sometimes even by foot. Many of them had spent what little money they had to get here. For many of them this was only one notch—perhaps the final notch—in an absurdly long and lonely journey. They had already written letters—to the lost man’s lieutenant, to generals, to politicians, to Foch, Poincaré, and Clemenceau. They had waited for replies—from their priest, their magistrate, their mayor—all the while knowing that a letter about their son or husband was just one of tens, hundreds, thousands awaiting its recipient, a letter to be responded to mechanically and in due time. Father Perrin would usher them through the sliding double doors into the office; he would offer to hang their coats on the square rack with its rectangular mirror. And he would offer them water from a glass pitcher I kept refilled, which rested on a wooden tray, which rested on a Second Empire side table. Yes, the dust still lingered, no matter how many times I swept out the room or beat the rugs. But if you could ignore it you might not blame a father from Bayeux or a wife from Cassis for feeling that they had been transported back into a time when the death of one man made some impression. That, as they took their seats in the red cushioned chairs with their sloped and polished armrests, as they began to tell Father Perrin their story, they were no longer in a world of empty church towers, the bells melted for ammunition. When they looked upon Father Perrin and heard him say, “I’m glad you’ve come. I’ll do anything I can to help you,” they believed him. For some of these grieving families Father Perrin had to say little else. For some the sight of the churned earth, the rusted wire, the crumbling forts and twisted bunkers was enough. For some the question that had coiled around them for months or years—how could it have happened to my son, my husband, my brother?—began to make horrific sense. But many others didn’t want to understand. They wanted to be understood, and they would lean across the Second Empire desk and clutch Father Perrin’s hands. They would weep and talk—for hours sometimes—about the man they’d lost. As if all that talk might help us identify him, as if it might bring him back to life. Bring back to life the man from Poitou who’d walked to Paris as a boy to apprentice as a cabinetmaker, who’d smuggled a young girl in a cabinet he carted back to his village. That young girl, now a woman, came to us in the spring of 1920 to describe every rut in the long road, every bump, the look in his eye when the door finally swung open. They wanted to bring back to life the boy from Anjou who killed a wolf with a bow and arrow and dragged him home across miles of fields. The boy’s mother described his expression as he struggled to maintain the stoicism of his older brothers. She described her delight at seeing pride for the first time on her youngest son’s face, even though she could also see it wasn’t a wolf he’d shot but a sheepdog. They wanted to bring back the boy from Lourdes who copied passages of Montaigne out by hand in his letters to his father, to prove that he wasn’t forgetting. The boy from Arles who’d lost his right eye when he was eleven—who’d saved money for a glass one to fool the draft board in 1915. It was my job to take down these descriptions, to write to the Red Cross and the Ministry of War to ensure that nothing had been overlooked, that no further information was forthcoming. And it was my job to record the family names in a separate set of files to ensure their inclusion on the ossuary’s wall of memorial: Abel, Albert, Allard, Barre, Baudin, Belmont, Caron, Chastain, Comtois, even Combs, my own last name. It was my father’s family name, bestowed upon me by my mother at birth, though neither she nor I had claim to it, as they never married. Certainly, the fact was not lost on me that, had I died in the war, there would have been no one to come looking. In some ways, though, the families of the dead were lucky. For so many others, the official telegram printed on light blue paper said missing, believed dead. Was it possible, their sad and ashamed eyes asked. Was it possible that in the midst of all they had heard, in the face of all the numbers and statistics, all the warnings from the officers and the mayor and their priest, that their son or her husband had been one of the ones to survive? Weren’t there reports that the Germans had run secret prison camps where the living were kept in order to terrorize the Entente? Weren’t there rumors that some soldiers had crossed into Switzerland during the mutinies of 1917, that they waited there now for news of amnesty? How could Father Perrin, how could anyone, tell these grieving faces that a direct hit from a shell could atomize a man? That the shelling was so incessant during the battle that a man’s remains might be buried and unburied and blown a mile into the distance and buried again? That we found hundreds of bones every single day, scattered across the front, mangled and unmatched? How could Father Perrin tell anyone that the fact that such pervasive destruction might lead to hope was the cruelest of ironies? He could only explain that there were no special lists, no secret camps, no utopian bands of fugitives. He could only say that if a séance or medium helped them feel better, then they should accept that help, but they should believe more in the charlatans who might use their grief against them than in ghosts. He could only say that they had done everything they possibly could already, that they should never for a moment feel they had failed. Once a widow from Lyon told us that she understood our point of view, but that the best medium in France had been searching for her husband in séances for two years without success, that experts in the living world were much more often wrong than those in the spirit world. I left the car on the paved road outside Fleury, carrying the canvas shoulder bag I would fill with bones, and a second, smaller bag stuffed with my canteen, some black bread and cheese, and a half-bottle of Alsatian wine. The door slammed, and the car pulled away, leaving only my shadow in the sun. It was early morning, already hot. From the new road it was a half-hour climb up the ridge onto the Douaumont Plateau. The ground still looked like a filthy sea. I thought of Chicago, of Oak Street Beach along Lake Michigan, where I had gone with my mother. The lifeguard chairs, the names etched into the wood, the whitewash fading and peeling. I wondered who this American woman was, what beaches she remembered, what streets. Father Perrin had told me almost nothing about her. A widow, a mother, a sister? A writer looking for a story? A lunatic looking for attention? I seldom spoke directly to those who came in mourning, but there were others whose welcome fell to me: artists competing for commissions on memorials, metallurgists pondering shrapnel, ornithologists tracking starlings over treeless acres, and, once, a British diabolist wearing an amulet of interlaced snakes. No matter how rational or irrational their reason, the look these visitors offered me when I introduced myself in careful, but accented, French was usually the same. The mouth tight, the eyes blinking, Why you? Not an unreasonable question. Certainly I was the least likely of many people—the parish priests, the sacristans, the other orphans. Of course, I wanted to believe that Father Gaillard had sensed some fundamental intelligence or decency in me when he’d suggested to Father Perrin that I stay on as his first assistant. More likely, though, he realized that his project was expensive, and that Americans had the stable currency. It was a neat trick, I’m sure, to mention casually to a New York heiress or a Pennsylvania industrialist that, in fact, his assistant was American. Weren’t we all prey to this horror at Verdun? Weren’t we all responsible for its rectification? Look at the young man from Chicago, I could imagine him saying, collecting the bones of the French dead in the fields each day. Will you really not pick up a pen, will you really not sign a check? After another half-mile I arrived in Fleury. Many of Fleury’s orphans had become my friends in the citadel, and I had listened to their stories until they became my own. Fleury had been a village of nearly five hundred people, mostly farmers. There was a church with a gold vestment that supposedly dated back to the time of Saint Denis. A little school taught by a man who’d come from somewhere in the Alps, whose accent was never fully understood, whose advice was never fully trusted. Two old sheepdogs wobbled through the streets, sleeping by what fires they chose. Livestock snorted into the single-room houses, which were connected to the barns by Dutch doors so that the smell of the animals—the warmth of their bodies and breath—became a part of each home. In February of 1916 the German attack began in a snowstorm. Just past dawn, the shells blasted open the frozen ground, caving in the roofs of the baker and butcher. My friends described the sparks in the snow. The broken patterns of booms, the shock waves splitting trees and lighting fires, before the next shell struck, extinguishing the fires with a shower of smothering dirt. The school, burned black, scalded with earth. And the tiny Saint Étienne’s bell clanging somewhere underneath the explosions. The mayor ran through the streets with snow in his beard and mud covering one side of his face. They fled with the fires stoked, bread and jam on the tables. They raced into the cold and pulled their livestock from the barns, trying to calm the animals in low voices. Pulling their carts from behind homes. Filing down the ridge west toward Bras-sur-Meuse, toward the range limit of the artillery. Behind, they left the plows bought once in a lifetime. They left chests containing their most valued possessions, a book no one could read, an embroidered blouse too precious to see the light of day. They left the dinner tables owned for generations, shallow bowls cut into the wood to hold soup. As they raced away they tried to keep a rough count of who had trudged out through the exploding snow. The schoolteacher was nowhere to be seen. The mayor had disappeared as well. Two men ran back, stupidly shouting, as if the explosions were not warning enough. A shell whistled down and one of the men vanished, leaving neither the mist nor the odor of blood. Five years later the old tables with the shallow bowls were ash. And over the years I found only a few things that might have been familiar to the mayor or the schoolteacher. A tooth of a plow. Half a spoon. Once I found a green-gold button with a glint of mother-of-pearl. I left it on a burned stump in case anyone ever came back to look. I returned to the Episcopal palace in the late afternoon to find a woman in a bright blue dress. She was young. Her hair was black, or almost black. As I stood in the archway, she trailed one finger through the koi pond. I could feel the dirt beneath my nails, the sour layer on my neck. I knew, without having to look, that there was a line of sweat across my shirt like a marshal’s sash. “Hello,” I said in English. “I am. And you must be Mrs. . . .” I knew the name. Hagen. All day I’d imagined asking this woman to sit in the haze of the old office, to lay bare the uncomfortable facts of her life, but I couldn’t seem to get the name out of my mouth. Perhaps my tongue already understood something the rest of me had yet to realize. She smiled, not especially genuinely, and her eyes went somewhere beyond me, as if she’d passed a test and now Father Perrin would arrive. I didn’t wear a watch, and had no idea what time she had expected me. She was right, such questions were seldom asked in Verdun. Father Perrin used to say that our sense of time had been warped by proximity to the afterlife. I took a seat at the edge of the pond, the blue-gray flagstone pleasantly warm, as she undid the gold clasp on her purse. Inside, in an inch or two of water, was one of the goldfish. The fish flicked his tail, bulging eyes blank, mouth working on the rim of the water. I took the purse from her lap and dipped it into the pond, releasing the fish. I knew how she must be feeling, the long journey on the train. The confusion of the station, the arrival in such a place. And, after all, it was just a fish. All the same, I felt something close to anger. At her disrespect, and at myself for finding her disrespect even a little charming. “I’m not sure I could do it again. That’s why I needed to show someone.” She caught my eyes, then dropped hers, but her look was more of triumph than disappointment. As if whatever she wanted had already been denied her, just as she had expected. She didn’t smile. We remained side by side on the lip of the pond, the sun softening as afternoon began to wane. In Father Gaillard’s office, she kept glancing at the inside of her wrist, as if there were a watch to check. “You’ve tried all the other channels already?” It was a question Father Perrin always asked. “We can agree on that,” she said. Then she was silent. Usually there was too much to say. Each word we exchanged, though perfectly correct, felt more false than the one before. It was her voice: tired, disinterested, almost bored. More silence, sun on the back of my neck. I rose to open one of the windows. The latch was stuck, and I had to give up. “Have you been to France before?” I asked. “It’s not all like this,” I said. Her eyes darted up, and for a moment I saw something in them other than disappointment. “Lee Hagen,” I said. The name with its hard Germanic syllables felt strange in my mouth. She smiled at the sound of it, and, though she sat only a few feet from me, she looked like something shimmering in the heat at the end of a road. She was a beautiful woman, but to say that I was conscious of attraction or desire would be misleading. It’s better to say that I was simply very aware of her. Aware of the slashes of her gaze, the impatience of her posture. Aware most of all of her anger, which I assumed—as one often wrongly does—was directed toward me. Was it that simple? That I did not want her to be angry with me? There were ripples of light on the desk, beams in the dust. Evening, the sun setting over the rubble along the river. She didn’t speak. “We met,” I said, “in Aix-les-Bains. On permission.” The words were already out of my mouth before I realized what a good lie it was. For a year nearly every permission had been mandated for Aix-les-Bains, near the Swiss border. It was a fifty-fifty chance that Lee Hagen had gone, and if he hadn’t the whole business would have been over. But as I spoke it appeared someone had stolen the bones from her face. Hardly anyone wrote to their wives about Aix-les-Bains because there were nice American girls there, girls who worked for the YMCA or the Red Cross, who had steamed across the Atlantic, often with their mothers beside them, to do their bit. To share news from home, to dance at the American bar, to smell of familiar soap and speak of familiar things. It wasn’t as if most men reported home about French prostitutes either, but they were easy to write out of the story. While days walking the lake or nights dancing with the American girls at Aix-les-Bains became the story for many. Better to say nothing to the wife still loved but unimaginably far away. I got off easier than most, since I had no one to tell, no one from whom to keep a secret. Still, I thought of her afterward from time to time—the girl, not older than seventeen, who’d approached me in the casino. When I arrived at the hotel I had to cut the mud off my feet with a knife. I’d been exhausted beyond words, drinking whiskey-sodas and playing cards. We talked for hours by the lake. She was from Ohio and came over on a ship called the Esmeralda. I felt soft from the whiskey. I leaned against her on a stone bench in the dark. “You look much too young for this,” she said. I tried to kiss her, and felt her lips smile against my lips. The particular lie came to mind, I think, because Mrs. Hagen reminded me of her. They looked nothing alike. It was a demeanor, a delicacy that seemed to suggest life was not such hard work. “He seemed happy there,” I said. “He was already losing his mind then,” she said.